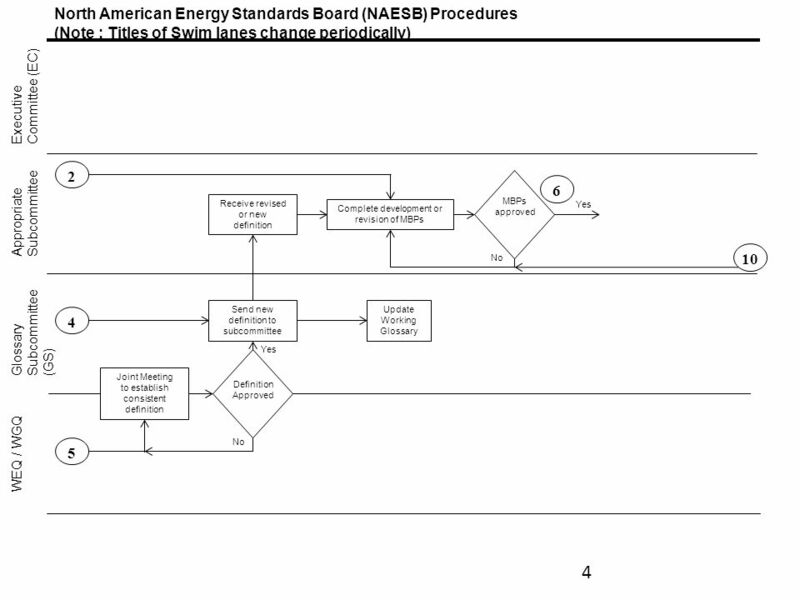 Download ppt "North American Energy Standards Board (NAESB) Procedures (Note : Titles of Swim lanes change periodically) NAESB Office Triage Subcommittee Executive Subcommittee." 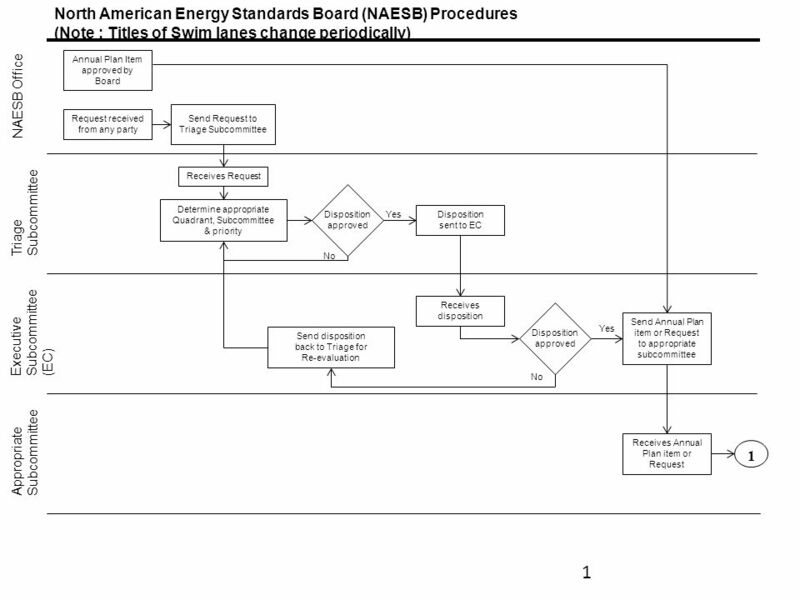 December 1-2, 2004 Energy Day Meetings 1 North American Energy Standards Board Wholesale Gas Quadrant Overview of Gas Day Standards December 2004. 1 RXQ Customer Drop Submitted by Supplier Process Flow Diagram Customer Supplier Distribution Company Supplier sends Drop Request to Distribution. 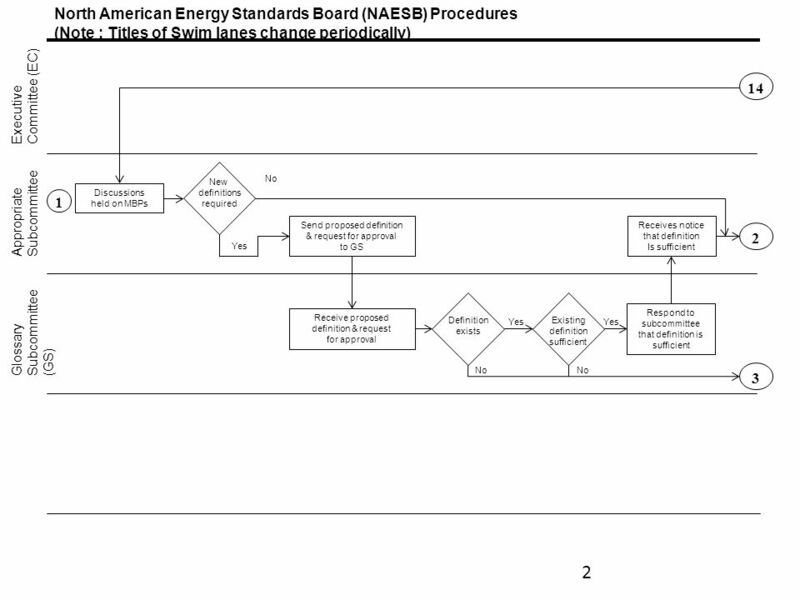 June 22, 2005 NAESB Board of Directors Meeting, San Antonio, Texas 1 North American Energy Standards Board Meeting of the Members NAESB Board of Directors. 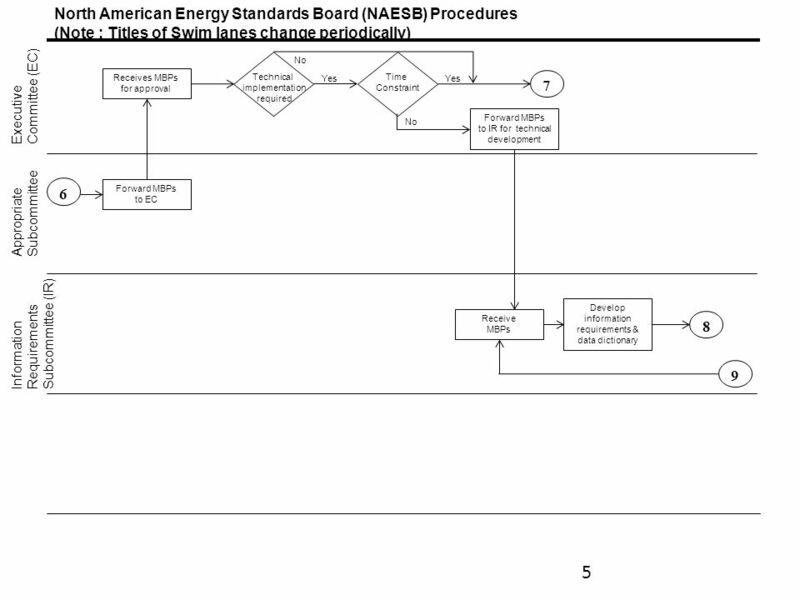 Business Practices Subcommittee Update April 30, 2013. Measurement and Verification Standards for Demand Response in Wholesale Electric Markets September 30, 2009 Eric Winkler, Ph.D. Project Manager, Demand. 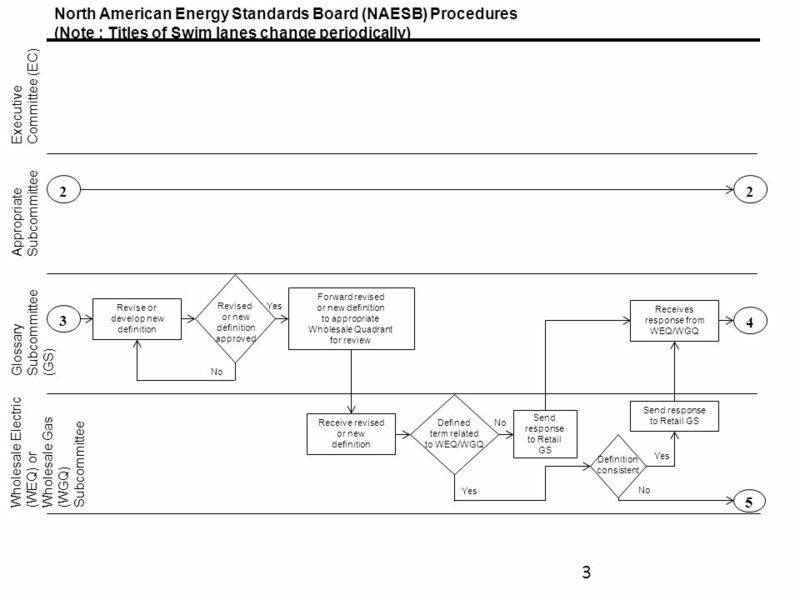 June 25, 2009 Prepared by D. Davis and C. Burden – Williams Gas Pipeline 1 North American Energy Standards Board Capacity Release Modifications Summary. 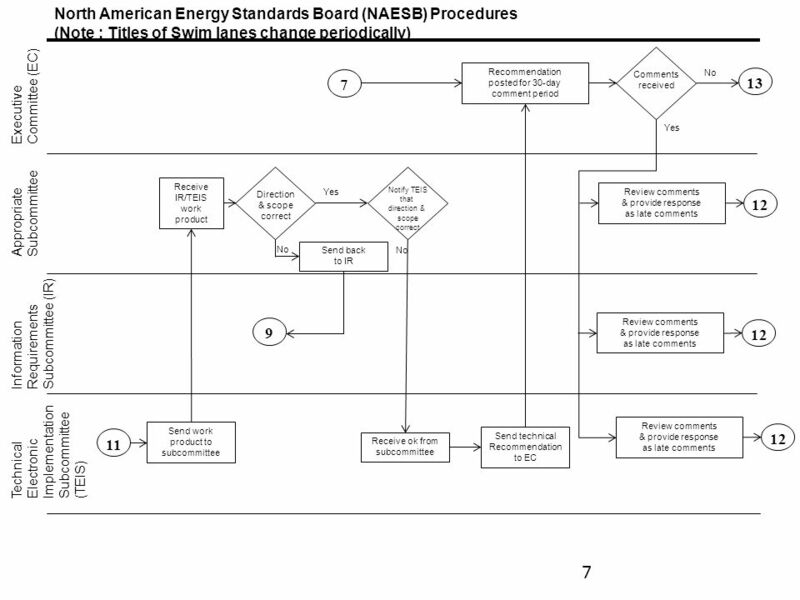 Standards Review Subcommittee Update February 19, 2013. REQ Drop from Demand Response Programs Process Flow Retail Customer Demand Response Service Provider (DRSP) Distribution Company 1 Drop Request. 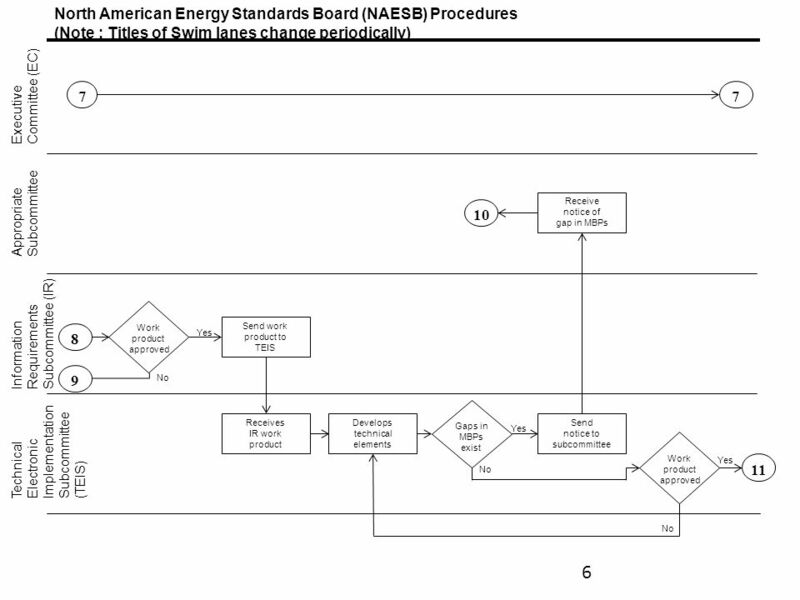 Business Practices Subcommittee Update October 23, 2012 DRAFT. 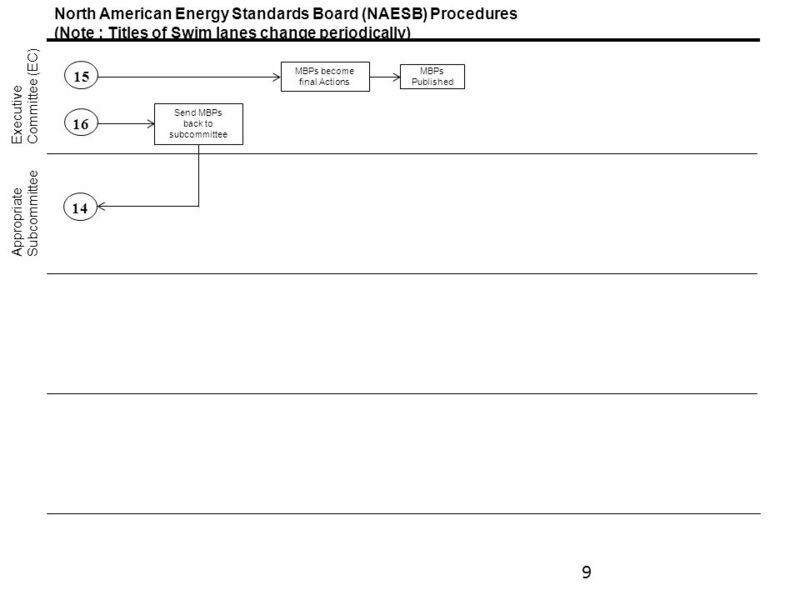 Standards Review Subcommittee Update October 23, 2012 Draft. 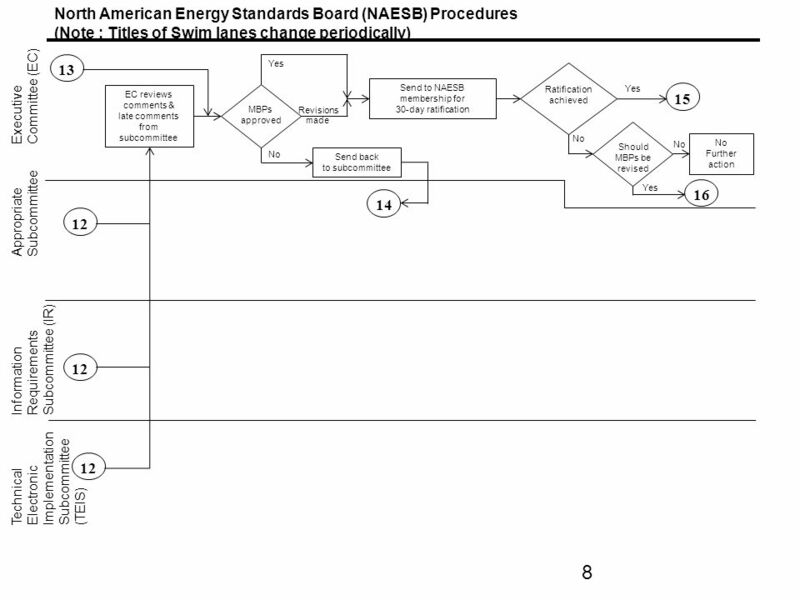 Prepared by the North American Energy Standards Board 1 North American Energy Standards Board NAESB Review & Smart Grid Update The North American Energy.